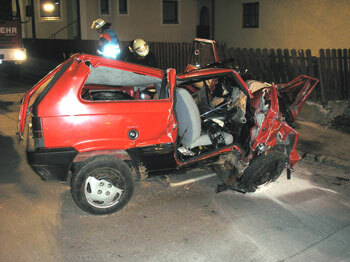 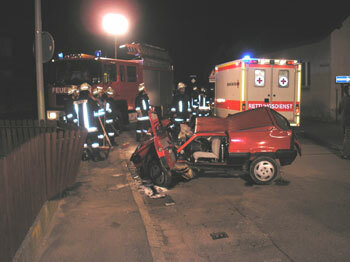 On 04/20/2006 at 03.56 a m the fire departments Nittenau and Bergham were called for a motor vehicle accident with extrication in Nittenau, Bodensteiner Strasse. 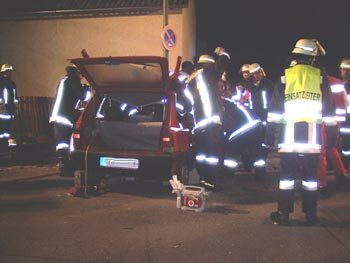 A car had crashed against a lamppost and a fence within the town of Nittenau, the driver was seriously injured and trapped inside the car. 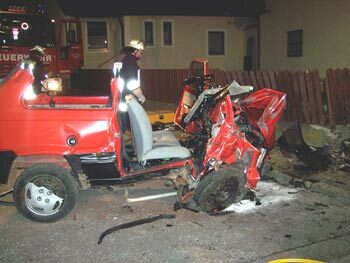 The alarmed fire departments extricated the person, prepared the landing site for the rescue helicopter and cleaned the road. 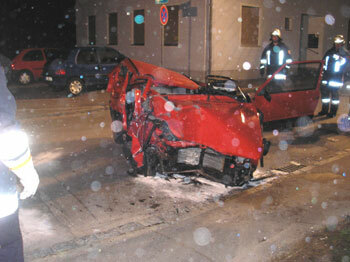 The helicopter flew the seriously injured driver to a hospital.